My husband is always getting on me about the number of tabs I have open in my browser at any one time. I think one time I had more than 100 open. Within the past few days, at least 10 of those tabs dealt with the same topic: medical tests and procedures that we either don’t need or that don’t work. There are simply too many for a single blog, so I’m focusing on one here and will write more about others in the coming days. Seems like an obvious medical procedure, doesn’t it? Baby is delivered when mom goes into labor or, if problems develop or mom goes over her due date, labor is induced. So why, as Kaiser Health News recently reported, are 10 to 15 percent of U.S. babies delivered early without medical cause, up to 40 percent in some hospitals? Early delivery increases the risk that the baby will have feeding and breathing problems, infections, and developmental problems, requiring a stay in costly neonatal intensive care units. It also increases the risk that mothers will need caesarian sections (indeed, many of these births are scheduled c-sections). So sorry for the delay in getting you Part 2 of my health care reform article (and if you’re wondering where Part 1 is, it’s here). Every now and again I actually have to do some work that pays the bills. But here you go with the final six surprising things in the Senate version of healthcare reform. So those of you who have barricaded yourselves in the bathroom and gone on a hunger strike awaiting my next post can now emerge. (full disclosure: My source for this is a fabulous side-by-side comparison of the Senate and House versions from the Kaiser Family Foundation). 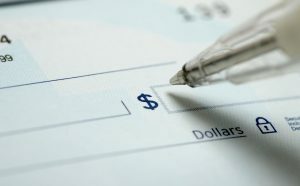 The check is in the . . . .
As one of my freelance friends recently noted on a Facebook post, the best days in a freelancer’s life are when the checks arrive. Lately, those days have been farther and farther apart. This is the first year in 10 years of freelancing that I’ve actually woken up in the middle of the night worried about cash flow. 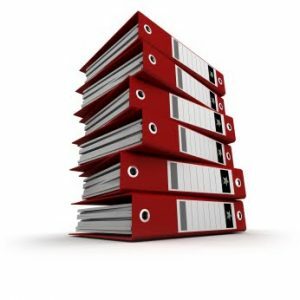 The money is there–I’ve done the work and billed the invoices. But one large client went into Chapter 11 just as I was completing the first third of a major project. No worries, the editor assured me. All freelancers will be paid. Well, it took several calls and threats to stop work on the project before the second check finally arrived. Thankfully, the third check arrived with no problems. Another client, a large professional medical organization, keeps “losing” my paperwork. But the excuse that really makes me crazy is when I’m told that since my client’s client hasn’t paid them, they can’t pay me. Um, excuse me?